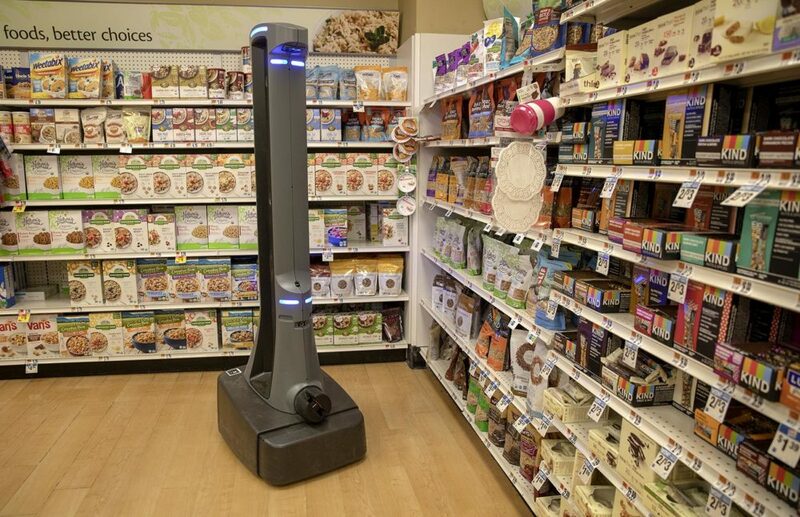 Stop & Shop's parent company, the Dutch food retailer Ahold Delhaize, has started deploying robots named Marty to more than 100 Massachusetts locations. Marty, a six-foot-tall pillar with googly eyes, roams the stores, beeping gently as it scans the floor for trash and spills. At a Stop & Shop in Quincy, Marty spots a fallen price tag in front of a shelf of Easter candy. The robot's cameras take a picture, which is then sent to a worker hundreds of miles away at a facility run by the company TaskUs. The worker looks at the picture to confirm the problem, then Marty alerts customers and store employees. “Caution. Hazard detected,” Marty says, playing the pre-recorded message in English and Spanish. A Stop & Shop employee scoops up the tag and presses a button to send Marty on his way. Marty is just the most visible example of new technology rolling out at Stop & Shop. A robotic warehouse system designed by the Waltham-based company Takeoff assembles online grocery orders for several stores in the Hartford, Conn. area. And the company plans to launch remote-controlled delivery cars in Greater Boston this spring. Carvalho says automation is one of several concerns the union has raised in stalled contract talks with Stop & Shop, which have stretched out for weeks under the threat of a strike. Stop & Shop declined a request to be interviewed for this story but agreed to answer questions by email. A company spokesperson writes that Marty is designed to work alongside employees, not replace them. But Carvalho warns automation has the potential to affect more than the company's employees. If people lose their jobs to automation, he says, they won’t have money to put back into communities or businesses. Local 1445’s concerns echo those of Carlos Aramayo, a representative of the hotel workers’ union that staged strikes at Marriott hotels last year. At the time, he stressed that technology isn’t a bad thing if workers have a say in where, when and how it’s used. “We do believe that jobs will be created by this technology, but that our members will need retraining to be able to take them on,” he said. 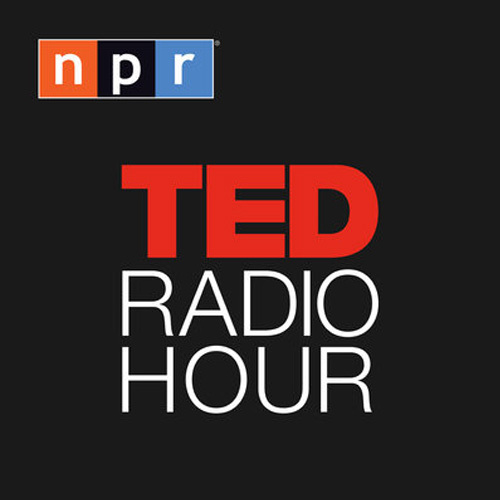 But that training doesn’t exist yet, says Tom Davenport, a Babson College professor and MIT researcher who writes about the intersection of business and technology. He says most organizations don’t have enough technology in place yet to know what kind of training to provide — and technology’s purpose is often to replace people. “There certainly is, I think, an underlying expectation that at some point in the future, retailers will be able to reduce the number of human jobs in their stores,” Davenport says. Predictions about automation’s effect on jobs vary widely. Some studies suggest that technology will destroy large numbers of jobs, while others are more conservative in their estimates. The U.S. Bureau of Labor Statistics’ projections anticipate growth in employment overall between 2016 and 2026. He points to the technology you can’t see — like advertising that targets individual customers with special promotions, which Davenport says is already prevalent. Marty the Robot is having an impact on customers in Quincy. Nancy Owens is picking out onions when the robot rolls by. "I hate that machine," she says. Owens uses a motorized cart to navigate the store and finds that Marty gets in her way. “I try not to get around anywhere that it is, ’cause it’s just annoying,” Owens says. Standing in the checkout line, Quincy retiree John Fransoso says he sees Marty as just the beginning. Other retailers seem to agree. Walmart recently deployed a fleet of robot janitors. Some Lowes hardware stores feature a robot that can track inventory data. And nearly 500 Marty robots will arrive in Stop & Shops and other Ahold Delhaize grocery stores this year. Callum Borchers contributed reporting to this story.